Once ladders of social mobility, universities increasingly reinforce existing wealth, fueling a backlash that helped elect Donald Trump. 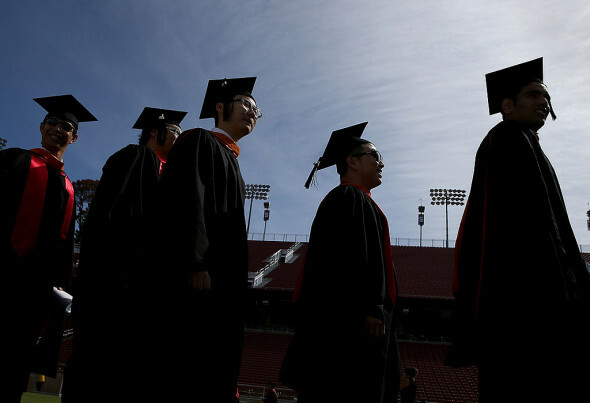 America’s universities are getting two report cards this year. 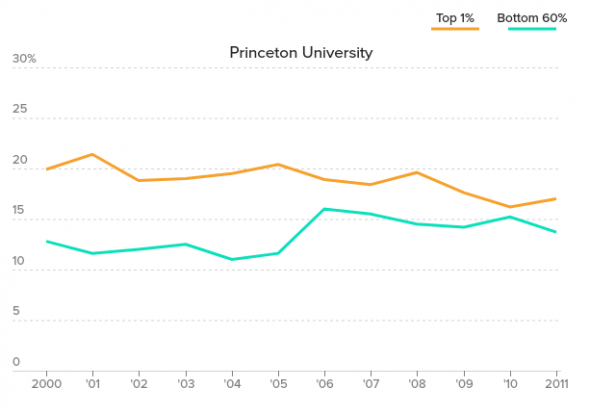 The first, from the Equality of Opportunity Project, brought the shocking revelation that many top universities, including Princeton and Yale, admit more students from the top 1 percent of earners than the bottom 60 percent combined. The second, from U.S. News and World Report, is due on Tuesday — with Princeton and Yale among the contenders for the top spot in the annual rankings.The two are related: A POLITICO review shows that the criteria used in the U.S. News rankings — a measure so closely followed in the academic world that some colleges have built them into strategic plans — create incentives for schools to favor wealthier students over less wealthy applicants. Those criteria often serve as unofficial guidelines for some colleges’ admission decisions and financial priorities, with a deeply ingrained assumption that the more a school spends — and the more elite its student body — the higher it climbs in the rankings. And that reinforces what many see as a dire situation in American higher education.“We are creating a permanent underclass in America based on education — something we’ve never had before,” said Brit Kirwan, former chancellor of the University of Maryland system.For instance, Southern Methodist University in Dallas conducted a billion-dollar fundraising drive devoted to many of the areas ranked by U.S. News, including spending more on faculty and recruiting students with higher SAT scores — and jumped in the rankings. Meanwhile, Georgia State University, which has become a national model for graduating more low- and moderate-income students, dropped 30 spots. Among the factors in the U.S. News formula are:—Students’ performance on standardized admissions tests, which correlate strongly with family income, more than high school grades, which have less of a correlation.— Having a lower acceptance rate, which many colleges have sought to achieve by leaning more on early decision admissions; this hurts lower-income students who apply to more schools in order to compare financial aid packages.— Performing well on surveys of high school guidance counselors from highly ranked high schools, while many high schools in less affluent areas have few or no counselors.— Alumni giving, which creates incentives to appease alumni by accepting their kids. Meanwhile, there is no measurement for the economic diversity of the student body, despite political pressure dating back to the Obama administration and a 2016 election that revealed rampant frustration over economic inequality. There is, however, growing evidence that elite universities have reinforced that inequality. Recent studies have produced the most powerful statistical evidence in decades that higher education — once considered the ladder of economic mobility — is a prime source of rewarding established wealth. One report by the Jack Kent Cooke Foundation found that kids from the top quartile of income earners account for 72 percent of students at the nation’s most competitive schools, while those from the bottom quartile are just 3 percent. Fewer than 10 percent of those in the lowest quartile of income ever get a bachelor’s degree, research has shown. The lack of economic diversity extends far beyond the Ivy League, and now includes scores of private and public universities, according to the Equality of Opportunity Project, which used tax data to study campus economic trends from 2000 to 2011, the most recent years available. 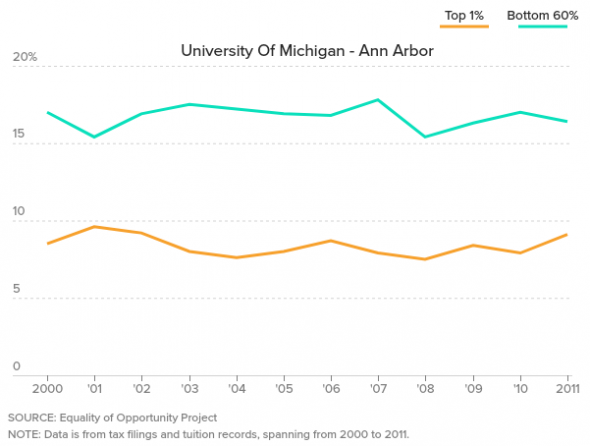 For instance, the University of Michigan enrolls just 16 percent of its student body from the bottom 60 percent of earners. Nearly 10 percent of its students are from the top 1 percent. Class-based anger was a driving factor in the 2016 presidential campaign, as white voters without college degrees vented their frustration by voting for Donald Trump in record numbers; it was the single best statistical predictor of a Trump voter. In the wake of Trump’s election, the majority of Republicans say colleges and universities have a negative effect on the country, according to the latest polling by the Pew Research Center. Young people still see college as necessary to get a good job and move up in society. But the vast majority don’t believe the higher education system is helping them do that, according to a recent report by New America, a Washington-based think tank. Higher education in America is a fiercely competitive enterprise. It’s a market-based system in which status is largely based on perception — a university’s prestige has an inordinate effect on who applies and how easily students are able to get jobs with lucrative employers. And the mark of prestige, in recent decades, has been a ratings system begun by the nation’s third-largest news magazine. The rankings aren’t meant to hold such sway, U.S. News officials say. The rankings are based on a formula of 15 weighted criteria that Morse says, taken together, provide a good look at the academic quality of the nation’s schools. He stressed that outcomes — the rates at which schools are able to graduate students and keep them coming back year to year — are the most important part of the formula. They make up 30 percent of the total. But in interviews, university presidents and education officials said most of the measures used by U.S. News work to the benefit of more affluent applicants and students, and they offered examples of how individual measures serve to increase inequality on campus:— Student selectivity (12.5 percent of the rankings): Per US News, “A school’s academic atmosphere is determined in part by students’ abilities and ambitions.” To measure that, the magazine looks mostly at test scores. SAT and ACT, the standardized tests used for college admissions, make up 65 percent of the university’s selectivity ranking. High school class standing is another 25 percent of this factor and acceptance rate is the remaining 10 percent.But studies have shown that high school grades are a better predictor of a student’s academic performance in college than standardized tests. And grades correlate less closely with affluence than the tests, which disproportionately benefit students from families that can afford to pay for test preparation. Research has shown that students from lower-income families, meanwhile, receive less exposure to spoken language and vocabulary — a crucial piece of SAT tests — early in life.According to the College Board, which administers the SAT, students from the top income bracket scored more than 130 points higher on all portions of the test than their peers in the bottom bracket. Students whose parents have a graduate degree scored 100 points higher on all portions of the test than students whose parents have just a high school degree. (The maximum score a student can earn is 1600. )Similar problems exist with the ACT, where wealthier students scored much higher than their low-income peers on the latest tests. Many college presidents are skeptical about the tests’ effectiveness, but feel obliged to pay attention to student scores anyway to protect their rankings. “One of the pressures that they put on is to keep your average SAT scores up — and that meant that, at the margin, you probably would take less risk with students that would bring that average down,” said Harvey Perlman, former chancellor of the University of Nebraska.In some cases, universities try to boost their average SAT scores by giving students with high scores more financial aid, regardless of need. Kirwan, the former University of Maryland chancellor, called it “this terrible practice of buying high-test-score students.”Morse, of U.S. News, said the magazine gives test scores a greater weight because they’re more universal than grade point averages, which many high schools don’t report on students’ transcripts. More and more high schools are moving away from reporting class rank, as well.This portion of the formula also measures acceptance rate — the number of students accepted compared with the number who applied. Schools have become masters at gaming this statistic through tactics like early decision admissions, in which applicants promise in advance to attend the school if they are admitted. 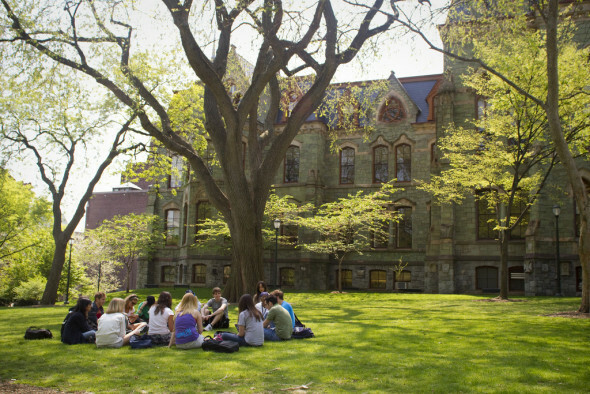 By accepting more early decision kids, who don’t turn them down, universities are able to look more selective overall.The University of Pennsylvania, a perennial near the top of the U.S. News rankings, has increased its use of early decision and decreased its acceptance rate. Nonetheless, research has shown early decision programs work against students from lower-income families. The Jack Kent Cooke Foundation found that just 16 percent of high-achieving students from families with annual incomes below $50,000 applied for early decision — compared with 29 percent of high-achieving students from families with incomes above $250,000. Another study, published in the Teachers College Record in 2011, found that “attending a better-resourced high school increases the probability that a student will enroll through early admissions.”This is no small benefit: The Teachers College Record study showed that applying early can give students an edge in the admissions process equal to adding 100 points to their SAT scores. “Once again, social privilege and the cultural capital that comes through privilege seem to be mutually reinforcing,” the study said.— Financial resources (10 percent of the rankings) and faculty resources (20 percent), which measure how much a school is spending per student and on faculty. 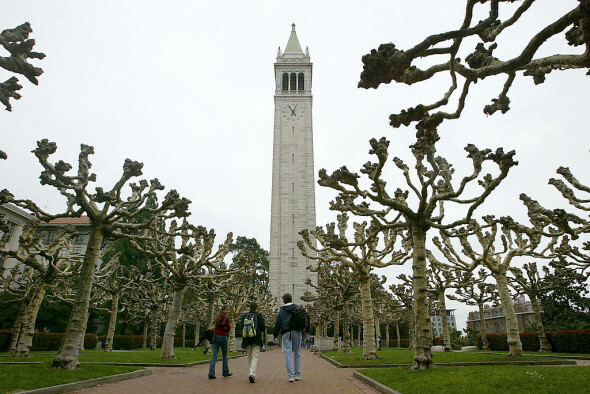 Per U.S. News, “generous per-student spending indicates that a college can offer a wide variety of programs and services.”But Christ, the Berkeley chancellor, points out that simple math suggests that if a university wants to boost its expenditures per student, it should accept more affluent students. That’s because they require less financial aid, freeing up money to spend on things U.S. News rewards, like hiring more faculty to keep class sizes small.These spending figures go a long way toward separating the top-ranked universities from the rest of the pack. A 2014 report found that a major university ranked by U.S. News in the mid-30s would have to increase its spending by $112 million per year to jump into the top 20. That correlates to about $86,000 per student and an average faculty compensation package of about $150,000 per year. 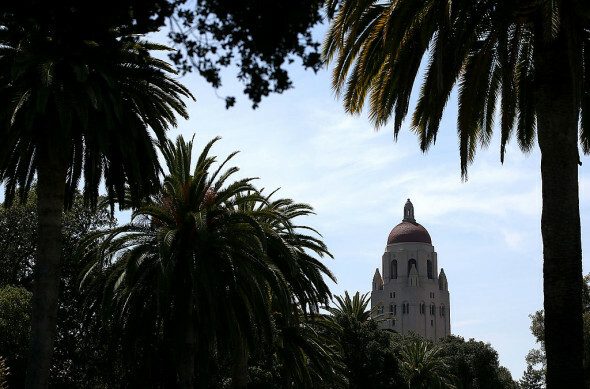 Some colleges have given faculty raises with the sole purpose of boosting their U.S. News ranking, Stevens, the sociologist who is now at Stanford University, said. When he was on the faculty at a small liberal arts college in the 1990s, the entire faculty was given a 15-percent raise overnight. They were told it was to improve the school’s ranking. “It was a relatively straightforward mechanism for boosting rankings,” Stevens said. Likewise, an easy way for universities to jump in the rankings is simply to raise tuition and increase spending. 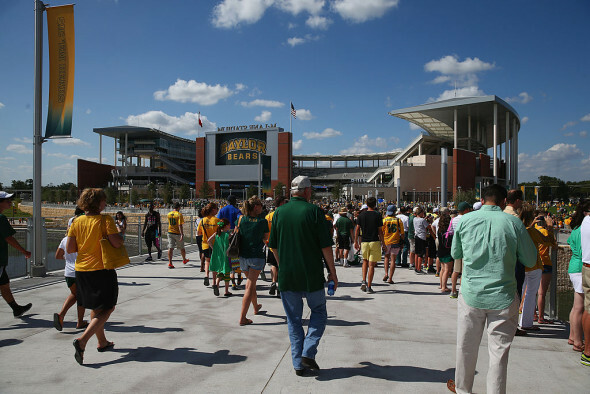 Baylor University, a private Christian school in Texas, wrote into its “Baylor 2012” strategic plan in 2002 a goal of breaking into the top 50 schoolswithin 10 years. It poured hundreds of millions into programs and faculty salaries and was ranked 75 by 2012, according to the 2014 report. It then jumped to 71 in the 2017 rankings, published last September. Rewarding spending is a particular problem for public universities because they have already been forced to lean more heavily on tuition as state legislatures have slashed higher education funding. Tuition at public colleges and universities has increased by at least 28 percent over the past decade, according to a study by the Center for Budget and Policy Priorities — more than that of private universities. Concerns about college costs discourage more than a third of high-achieving, low-income students from applying to any college, a recent survey by the Jack Kent Cooke Foundation found. Per U.S. News, this survey of college leaders “allows top academics — presidents, provosts and deans of admissions — to account for intangibles at peer institutions, such as faculty dedication to teaching.” College presidents rate schools that U.S. News tells them are their peers. Critics have questioned how legitimate of a measurement this is. Most college leaders don’t know enough about their dozens of peers to provide meaningful feedback. Some, meanwhile, have been accused of purposefully scoring rival schools lower to make their own campuses look better.There is also a similar survey for high school guidance counselors and college advisers — a luxury essentially nonexistent at some of the nation’s poorest schools, college leaders, including former Amherst College President Anthony Marx point out. More than 20 percent of high schools — serving about 850,000 high school students nationwide — do not have any school counselor, according to federal data. In some states, including California and Arizona, there are more than 800 students for every one high school counselor, according to federal data.College leaders say that through this measure, U.S. News could be encouraging elite colleges to build and maintain relationships mostly with wealthy high schools. — Alumni giving rate (5 percent). Per U.S. News: Giving is an indirect measure of student satisfaction; students are more willing to contribute to their alma mater if they felt like they received a good education there. But elite colleges have a long history of catering to children of alumni to keep the donations flowing. More than 40 percent of Harvard’s class of 2021 are legacy students — meaning they have family members who attended before them, according to data compiled by the Harvard Crimson. This hurts the chances of lower-income applicants who are often the first in their families to go to college. — Graduation and retention rates (22.5 percent) and graduation rate performance (7.5 percent). This is the portion that is actually the most helpful to lower-income students. Schools are rewarded for graduating more students. And U.S. News gives special credit to schools that do a better job of graduating low-income students. But the measure can also work to the advantage of schools with fewer low-income students. Most universities near the top of the rankings have a high proportion of well-off students, who don’t face financial pressures that might lead them to drop out. 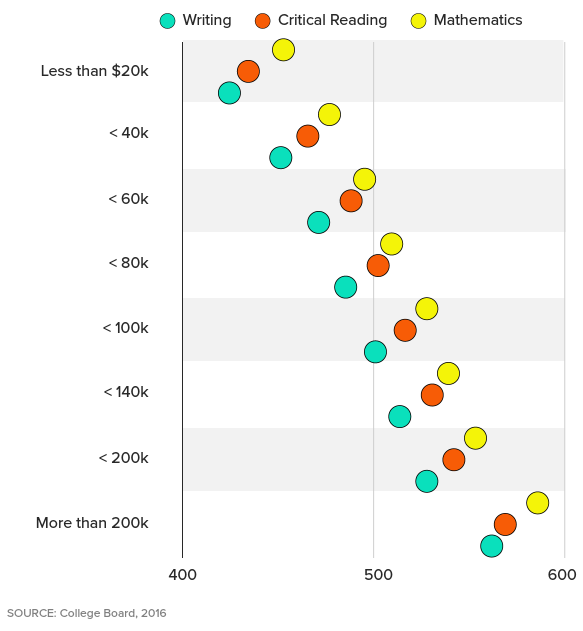 College Board data indicate that students in the top income quartile graduate at about a 13-percentage-point higher clip than those in the bottom quartile. The gap in degree attainment also appears to be growing. 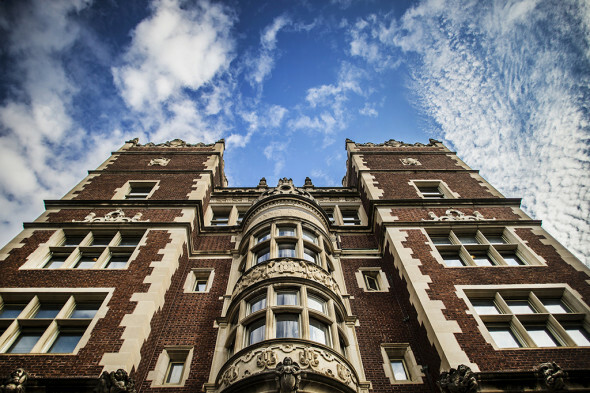 According to a University of Pennsylvania study, students from families in the top half of income earners accounted for 77 percent of bachelor’s degrees in 2014 — up from 72 percent in 1970. Nonetheless, to U.S. News’ credit, the graduation rate performance measure — which controls for factors like test scores and income — is one of the only portions of the ranking formula that recognize schools that are working to help the most disadvantaged students. U.S. News controls for student characteristics, like how many of them are on Pell Grants, which go to lower-income students, and predicts what a school’s graduation rate should be. If the actual rate is higher, U.S. News deems the college is “enhancing achievement, or over-performing,” and it gets a boost. It’s a recent addition to the rankings formula, and, while lauded by presidents and administrators, it’s still just a sliver of the equation. U.S. News defends the entire formula. Morse argues that if schools are seeking to improve in the U.S. News rankings, they’re probably becoming better institutions in the process. Nonetheless, the sometimes spurious nature of the rankings can be measured in the experience of two universities — Georgia State and Southern Methodist — and their seesawing fortunes from 2008 to 2016. 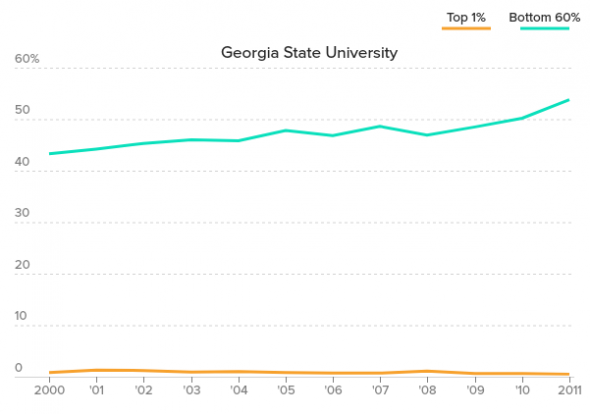 Georgia State, which dramatically improved both its economic diversity and its graduation rate, nonetheless plummeted in the rankings. 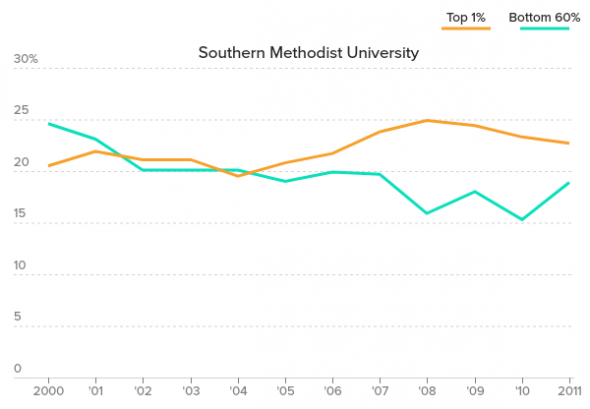 SMU, which conducted a major fundraising campaign powered by unusually high levels of alumni giving, saw its fortunes soar, even though its student outcomes were largely unchanged. At Georgia State, administrators made a conscious decision to reduce emphasis on SAT scores to build a more diverse student body because administrators found that scores didn’t actually predict how well a student would do. High school performance is a better indicator, administrators and studies say. “Basically, if you’re a B student, we’ll admit you,” said Timothy Renick, vice provost at Georgia State. The average SAT score has dropped 33 points. At the same time, Georgia State has nearly doubled its number of students on Pell Grants, who now make up about 60 percent of its student body. The school enrolls more students on Pell Grants than any other public research university, and more than the entire eight-university Ivy League — by a nearly 3-to-1 margin. The school is serving more of the middle class, as well. According to the Equality of Opportunity Project data, the percentage of students from the bottom 60 percent of income earners rose by 11 percentage points from 2000 to 2011, the most recent year statistics are available, to 54 percent. 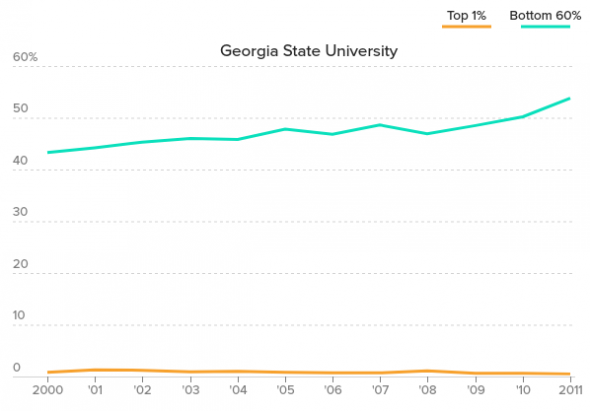 The percentage of students from the top 1 percent — which never made up a significant portion of Georgia State’s student body — has shrunk, as well, from just under 1 percent in 2000 to just half a percent in 2011. Georgia State also graduates thousands more students a year than it did five years ago — a 22 percent increase.Georgia State has done that by taking very concrete steps. After studying 10 years of student data — more than 2.5 million grades on 140,000 student records — administrators found 800 “academic behaviors” that correlated with dropping out. The university then set up an electronic tracking system that alerts academic advisers the first time a student gets a C or if they stop showing up to class. Within 48 hours, the adviser reaches out to the student to get him or her the help they need.Administrators realized that money was the main reason students drop out — especially seniors. That’s because seniors are often running low on their Pell Grants or other financial aid and can’t afford to finish their degrees. The school created a micro-grant program that lets advisers add money to students’ accounts after they drop below a certain level.“If they’re making good progress toward a degree, we just put the money in their account, give them a call and say they’re good to go,” Renick said.Georgia State’s success hasn’t gone unnoticed. Renick has testified before Congress on strategies to help low-income students. He was invited to the Obama White House to brief the president. Industry groups like the American Council on Education and the Association of Public and Land-grant Universities have given the school awards. But at the same time, the school has fallen 30 spots in the rankings. While U.S. News did not publish a ranking for Georgia State in its list of the best schools in the nation because it was lower than the threshold the magazine publishes, it sent the ranking to Georgia State, which provided it to POLITICO. In 2016, the school was at 236, down from 206 just five years earlier.But U.S. News clearly is aware of the work the school has done. It ranked Georgia State the fourth-most innovative university in United States, behind MIT, Stanford and Arizona State. And the school’s peers rank it nearly 100 spots higher at 163. High school counselors put it even higher, at 141.“We’re a lesser institution in the eyes of the rankings,” Renick said. “You get bonus points for turning very qualified students down. We’ve made a philosophical, and I think moral, commitment to do the opposite.”Burns, the head of the University Innovation Alliance, put it this way: “[Georgia State] did literally the thing America needs all of higher education to do, and they got punished for it. The value system imposed on these institutions is fundamentally problematic for the future of our country.”While Georgia State was falling in the rankings, SMU — the wealthy private university in a posh Dallas neighborhood — was skyrocketing, fueled by a huge influx of cash. The college, which is home to the George W. Bush Presidential Library and Museum, wrapped up a capital campaign two years ago that raked in more than $1 billion and for which the university credited a six-spot jump in the rankings from No. 67 in U.S. News’ 2008 rankings to No. 61 in its 2016 edition — “the sixth highest increase among the top 70 national universities,” the university declared on its website.The school jumped another five spots to No. 56 in the 2017 edition, which published last year.The university says the fundraising has gone partly to merit-based scholarships that have helped at “recruiting and retaining top students.” Among the bragging points: A higher average SAT score. The school also reports that it has hired more faculty and is spending tens of millions more on them.And, if the infusion of cash hadn’t helped SMU enough, just the fact that it persuaded its alumni to fork over as much as they did gave the school a lift: “SMU has joined an elite group of universities in U.S. News and World Report rankings” with a 25 percent annual giving rate, the university touts on its website.Morse, the U.S. News rankings guru, confirmed that wealth — including alumni giving and per-student spending — was largely what boosted SMU. But as it celebrates its increase in the rankings, SMU has catered more to the elite. 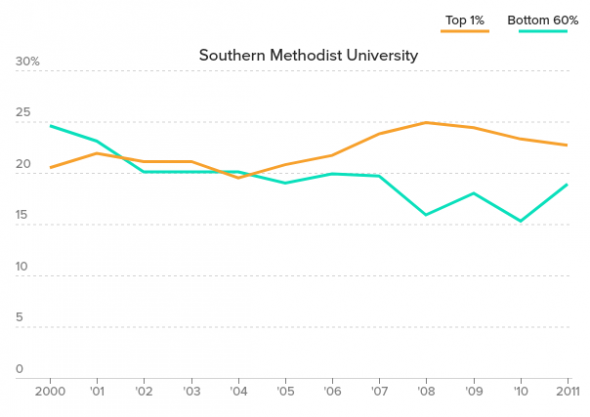 According to the Equality of Opportunity Project data, the top 1 percent made up 23 percent of SMU’s student body in 2011, the most recent year statistics are available. Students from the bottom 60 percent made up just 19 percent. It’s a mirror image of the student population in 2000, when the bottom 60 percent made up 25 percent of the student body and the top 1 percent was 20 percent. 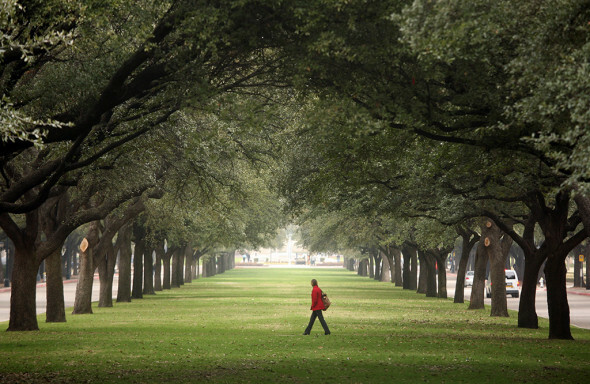 SMU officials say they’re working to reverse the trend, including spending some of the money the school raised in its billion-dollar campaign on need-based aid for low-income students. The school also has a program that offers micro-grants to low-income high school students. The lack of economic diversity in higher education, and the rising cost of college, are among the few issues on which the Trump administration and the Obama administration share common ground. Obama repeatedly complained about excessive spending by universities in his State of the Union addresses, to little avail. He also blasted the college ranking system, which he said “actually rewards [colleges], in some cases, for raising costs.” The Obama administration launched its own ratings system, the College Scorecard, in part to counter U.S. News’ rankings. The College Scorecard appears to be among the few Obama initiatives that Trump will continue. The new administration plans to release the latest round of ratings later this fall, an Education Department spokeswoman said. But college presidents and administrators say creating a counter-rating to U.S. News isn’t enough to force changes on campus — and the scorecard drew a fair share of criticism upon its initial launch, with a messy rollout and questions over data quality. Some colleges — including some in the Ivy League and some state flagships — have started alliances aimed at finding ways to recruit and retain more low-income students. One, the American Talent Initiative, includes 30 colleges, all with a six-year graduation rate of at least 70 percent. Among the group’s leaders are the presidents of Princeton, the University of Washington and Ohio State. Another group, the University Innovation Alliance, is made up of 11 major public research universities — including Georgia State, Purdue and the University of Texas at Austin — that share strategies for improving economic diversity. For example, Georgia State’s micro-grant program — through which the school automatically deposits aid to students at risk of dropping out — will be adopted by all 11 schools, the alliance announced earlier this summer. Congress is also starting to weigh in. House Republicans have suggested that wealthy colleges need to dip more into their massive endowments to help low-income students. Rep. Tom Reed (R-N.Y.) has pushed a plan that would require universities with endowments exceeding $1 billion to spend at least a quarter of their investment income on financial aid to maintain their tax-exempt status. Any university eligible for tax-exempt donations would be required to disclose more information about salaries and amenities, and colleges would need to file “cost-containment plans” to make sure tuition increases don’t outpace inflation. Senate Finance Committee member Chuck Grassley floated the idea that colleges should pay out 5 percent of their endowment each year, in line with foundations, to keep their not-for-profit tax privileges.Trump has backed the idea, saying on the campaign trail that he is going to work with Congress to “make sure that if universities want access to all these special federal tax breaks and tax dollars, paid for by you, that they are going to make good-faith efforts to reduce the cost of college and student debt, and to spend their endowments on their students rather than other things that don’t matter.”Trump was more threatening during a separate rally in Ohio: “We have a lot of power over the colleges.”But that power has yet to be unsheathed. Meanwhile, universities are eagerly awaiting the U.S. News rankings on Tuesday, with some administrators’ careers likely to benefit or take a hit. There is little they can do to influence U.S. News to change its system. When college leaders complain, they get invited to U.S. News headquarters in Washington. There, editors let them air their complaints. Then, according to college presidents, the editors often tell them what they need to do to move up in the rankings: Spend more on faculty, admit better students, etc. Brian Rosenberg, president of Macalester College, said he met with U.S. News officials and raised concerns that the rankings incentivize schools to spend more money when the cost of college is already skyrocketing. “The question I asked was, ‘Doesn’t this seem to run counter to what’s really in the public’s interest?’” he recalled. To many presidents, though, prodding U.S. News to change feels like a lost cause.